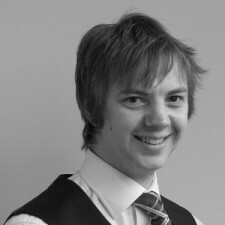 James is the head of McKinnells Solicitors Lincoln's employment and dispute resolution department and the firm’s youngest partner. He prides himself on his ability to achieve his clients’ goals efficiently and delivers honest and practical advice in an understandable and jargon free way. Lincoln Lawyer: Watch what you do – the Olympics are watching! Lincoln Lawyer: Why are people who owe you money like spiders? Lincoln Lawyer: Complete nonsense or common sense?